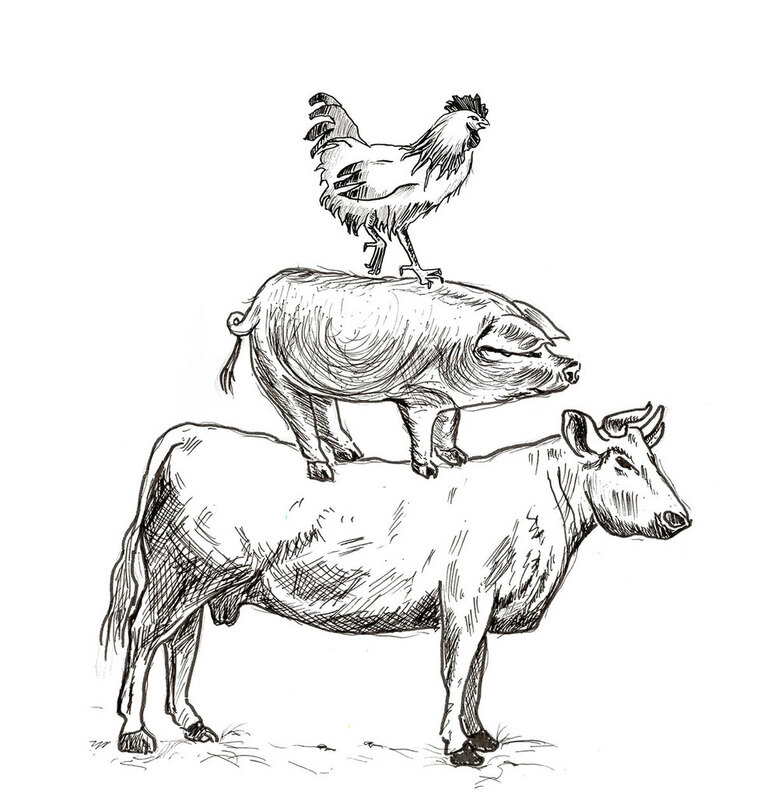 Humanely raised, fed a NON-GMO diet; free of hormones & antibiotics - the way our meat SHOULD be. Our Grass Fed Beef is currently available, along with our pork, Young's Farm Chicken and Sepe Farm Lamb in individual packaging at Woodbury Floral Designs, 15 Hollow Rd., Woodbury CT. The Farm has been breeding and raising Yorkshire pigs for years now, and we are proud to be able to offer our humanely raised pork to our customers. Our pigs get to see the sunshine of the day, protected at night, and fed grains and vegetables that we grow on The Farm. Our Hereford cattle roam and graze on the grassy pasture. Taste the Difference. All our smoking of our pork is naturally done, without the use of nitrates and nitrites. All of our meat is USDA inspected, individually packaged and flash frozen. Full & Half Sides of Pork- click here for more information. Full, Half & Quarter Sides of Beef- click here for more information. Our family believes strongly in knowing who and how things were raised when on our family's dinner table. Be it meats, vegetables, dairy, grains, or even baked goods. Insist on procuring only the freshest local ingredients possible.